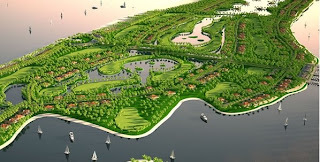 Lagos Keys is a proposed development by Pinnacle Point Group. According to there website "...Pinnacle Point Lagos Keys will create the ultimate luxurious lifestyle with opulent residential homes set on spacious 3000m² private erven, with panoramic vistas across the lush golf course and landscaped gardens. Offering picturesque serenity, breathtaking views and timeless elegance, these freestanding, sumptuous mansions and palatial villas will be designed in a selection of styles including Classical, Mediterranean and Colonial..."